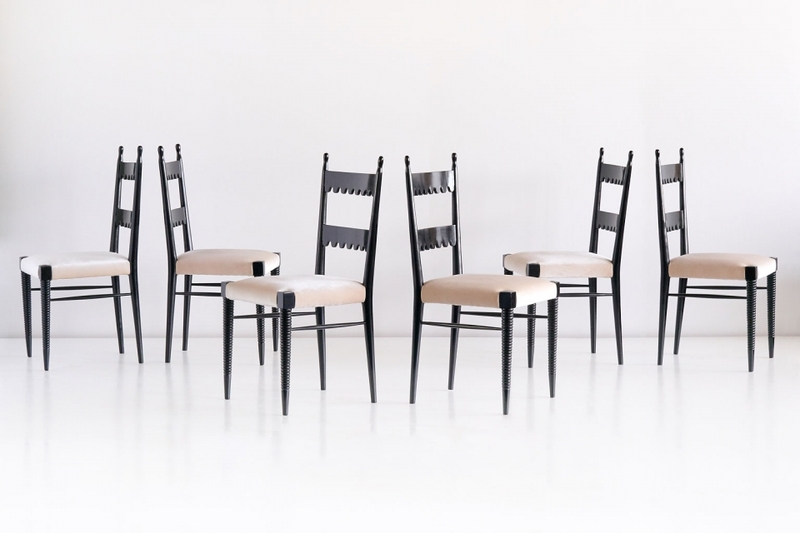 A rare set of six dining chairs designed by Pier Luigi Colli and produced by his company Colli in the late 1940s. 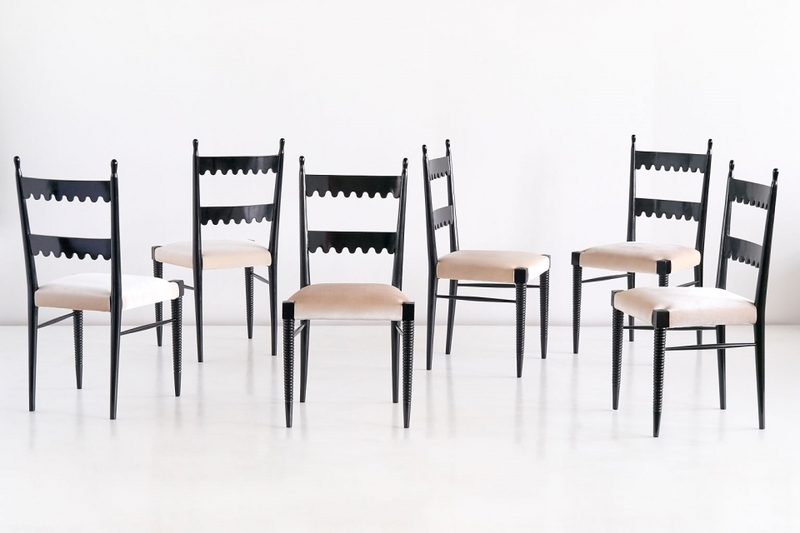 The black lacquered chairs are characterized by the scalloped pattern and carved finials on the backrests, and the carved front legs. A playful and elegant example of the late 1940s Italian design period. The chairs are in very good condition. If desired, the chairs can be newly upholstered according to your personal wishes.